MLC Group has been in the timber industry servicing the industrial and DIY markets since 1993 and boasts one of the broadest product ranges in the industry. 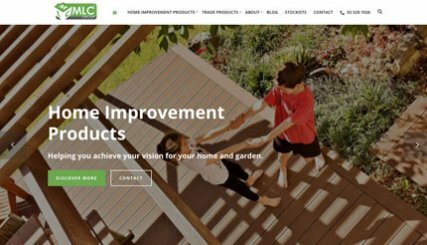 The new website is powered by WordPress CMS and showcases both their home improvement products and trade brands. Full technical SEO was applied to the website prior to launch to ensure its visibility in the search engines.